Hi there crafty peeps! I am back today to share a banner I made with ribbons from the new September Ribbon Club Assortment and the Vintage Inspired Halloween Creativity Kit from Polly's Paper Studio Etsy shop. I have to start out by explaining that Halloween is my favorite holiday after Christmas. I just love the crisp fall weather, the pumpkins, the candy, and the fun spookiness of it all. I was so excited to be able to create a banner to decorate with! I cut out the banner shapes with the Stitched Party Banners Die by Lawn Fawn in black cardstock and then layered the patterned papers and cute images from the kit on top. I inked all of the edges with Black Soot Distress ink. I added pearls and Rhinestones in black and orange to add a bit of sparkle. I then threaded the banners onto Black and White Houndstooth Plaid Ribbon. I created two double layer triple loop bows with my Bow-It-All tool and some Orange Sheer Organza with Satin Edges ribbon. I finished it off with White Gypsophilia Flowers by each hole and on the orange bows. I hope you enjoy this banner as much as I enjoyed making it. 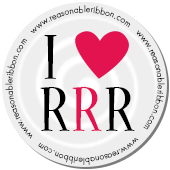 Make sure to head over to the Really Reasonable Ribbon store for all of your Halloween themed ribbons. Have a wonderful day! What a sweet banner! Love the fun images you used from the kit! And I adore the houndstooth ribbon too!